My landlord claims all the mold in our mobile home is our fault for not heating the whole house. True or false? False. Mold is usually from something leaking or staying wet for a while. He needs to check the roof. Also, listen inside walls, under house for any leaks, also. That's dangerous for you & your family to breathe in. Has your water bill amount changed? That might tell you if you have a leak. I'm sorry you have to deal with this. I would say false. Mold requires moisture to grow. I think if you were able to heat your entire home, it might help to reduce the mold growth by lowering the humidity. But something caused the mold in the first place. To me, it looks like there is a leak in the roof and maybe dripping down the wall. I would contact your local housing authority for assistance with your landlord. Mold can be very hazardous and can cause breathing problems, allergies and other issues. If you can get a dehumidifier, that might help. Your landlord should replace the moldy drywall and also repair the roof leak. I'm positive that is what is causing it. 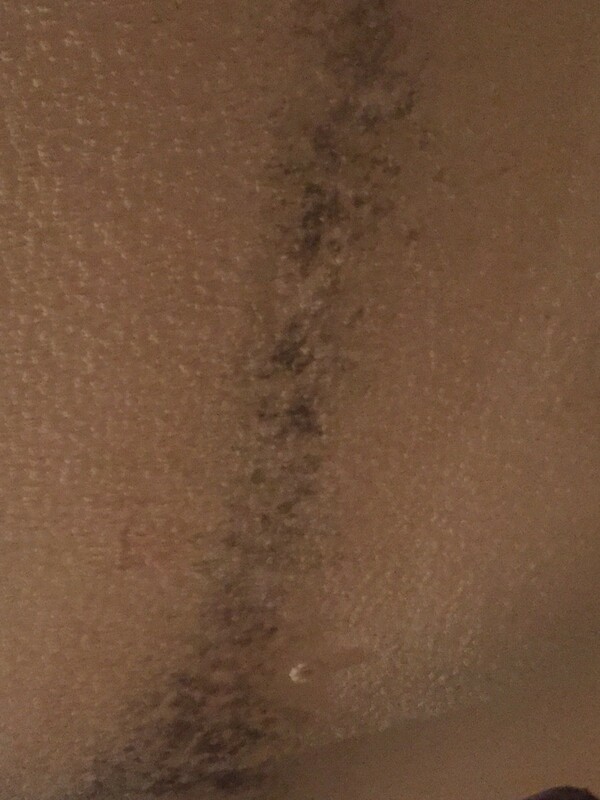 You can see how it is in one place on the ceiling and drips down the wall in a streak. If it was the heating, you would expect the mold everywhere or in corners with limited airflow. Your mold is front and center. Good luck! I have been dealing with mold in my own house for years. I live in the Pacific NW and mold is common. Ours doesn't grow in the walls like that, it is more on top of everything. And it is not the black mold that is the most hazardous, although we did have some issues with that in the past. Pine-Sol has been our best friend for cleaning surfaces. Thank you. We moved a month ago and even slept in a tent for 2 weeks. I refused to live like that anymore. I feel much better health wise as well! Mold can be toxic and dangerous for you to live with. 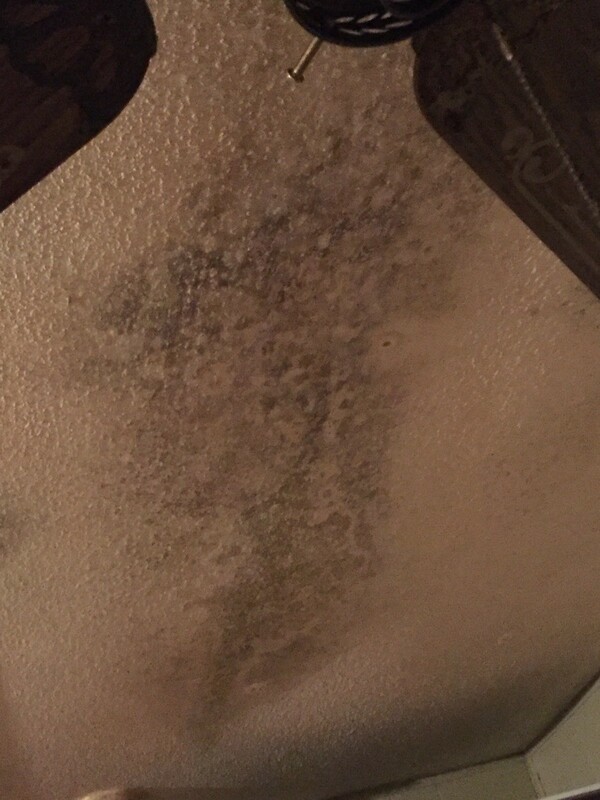 This type of mold is not caused by your lack of heating in your home. It is caused by a leak in the roof and the water sitting on your ceiling. This shouldn't be an issue if the roof wasn't leaking in the first place. You will need to get a hold of the housing commission to help you with this issue. 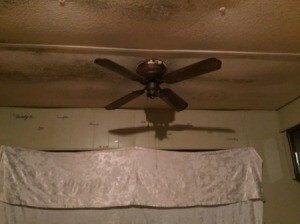 This is a problem for your landlord to fix and not something that you have caused. This takes a long time for the mold to form and grow and lack of heat is not the reason for this. 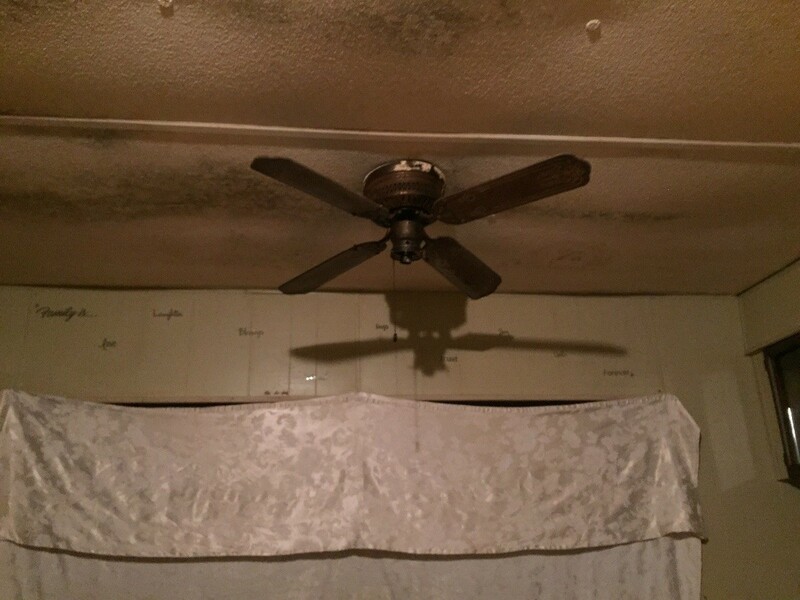 But once mold was detected, should of contacted the landlord? It isn't healthy to live in a molded environment.